Even though I am not a landscape photographer and I have never attempted any sort of astrophotography, I have always appreciated beautiful photographs of nightscapes. Recently, I borrowed the new Tamron SP 15-30mm f/2.8 Di VC USD lens and tried to photograph an interesting night scene here in Charleston. Truth be told, it was quite the learning experience. In this video, I will share my first ever approach to shooting the night sky and hopefully give you a few things to think about when tackling this interesting genre of photography. Astrophotography is a pretty interesting field of photography that you may not have experimented with before. The basic challenge with photographing the stars is that the night sky is so dim that you need pretty extreme camera settings to even begin to capture it. Much like working with camera flash, you really cannot easily visualize what your final image will look like without looking at the resulting image on the back of your LCD. 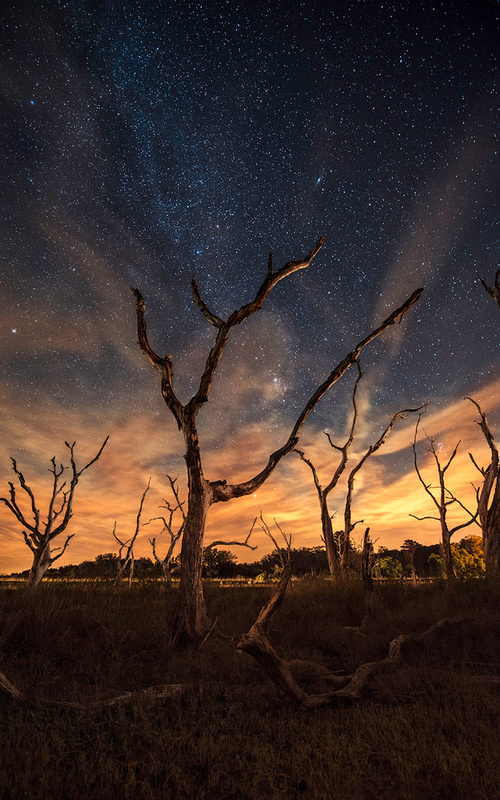 However, once you set up the proper exposure and capture a clear sky, the images are pretty dramatic and surreal. If you want to see some great examples of just how amazing the sky can look at night, check out these astrophotographs from the Fstoppers Community. I'll be honest here and say that the majority of nighttime photos I've seen haven't been that exciting. This is probably because many of the photos I've seen have been taken in areas that have a lot of light pollution or because the landscapes themselves weren't all that exciting as a whole. For better or worse, I was never really exposed to some of the great images you can find online, and therefore, I never tried to capture the stars on my own. 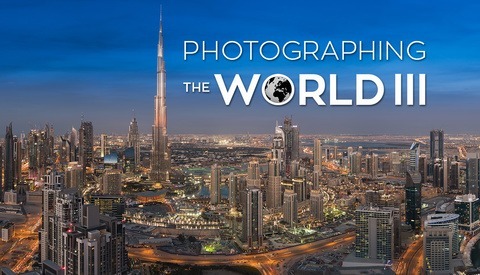 My view on night photography changed greatly last year when Lee and I met up with landscape rockstar Elia Locardi in New Zealand to film him teaching a few lessons for his Photographing the World: Cityscapes tutorial. New Zealand is one of the most remote locations in the world, and for the first time in my life, I could actually see the Milky Way Galaxy with my naked eyes. The stars were literally as bright as a 15-second exposure, and it was at that moment that I realized why so many photographers spend a great deal of time scouting beautiful locations to capture the distant stars. 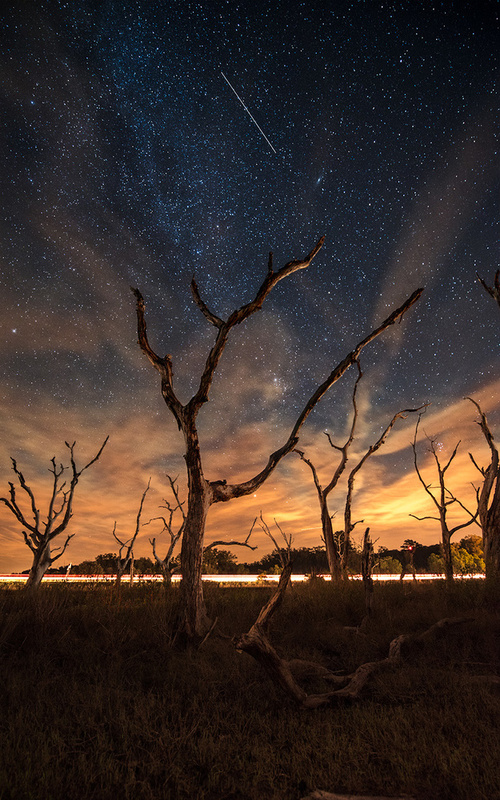 If there was one thing that Elia kept emphasizing to us, it was that every great landscape or astro photo has to have an amazing foreground and leading lines. In general, the photo has to be interesting throughout the entire frame. Very rarely can you just point a camera towards the heavens and capture a strong photo without having the proper elements supporting the star-filled sky. 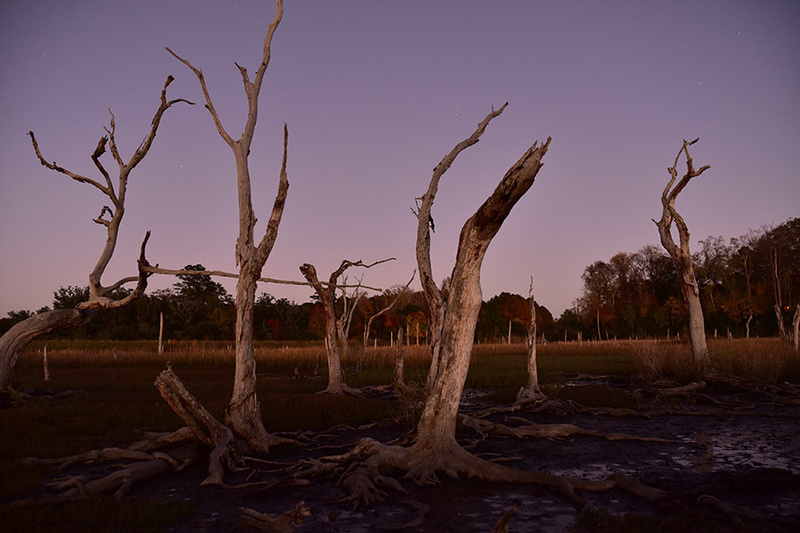 Every time I drive out of town from Charleston, there is this little patch of marsh land that has about a dozen or so dead trees lining the horizon. I've always thought this location would be perfect for some sort of moody portrait, but I never considered it for a landscape photo. Over the last few months, I have been working on a few landscape images for an upcoming project and one of those images needed to be a star photograph. I remembered this location and thought maybe I should try capturing these dead trees against a bright, starlit background. Since the trees are about 70 yards from the highway, I wasn't even sure if the marshland was accessible. Luckily I have a pretty killer pair of water proof boots for such situations! When you really start digging into a specific genre of photography, you begin to realize that the gear people use to create their images varies greatly. Astrophotography is no different. For the guys who shoot the sky exclusively, they often invest in expensive star-tracking machinery and specialty lenses that you wouldn't normally use in your everyday portrait and landscape photography. You will also find that the post-processing steps taken to produce a completely noise-free image can also be extremely complicated and time-consuming. If you are just dabbling in astrophotography like me and want to capture a few awesome images here and there, you really don't need to use all of those expensive and elaborate tools and techniques in order to create a respectable image. Therefore, for the sake of this video and post, I'm going to keep things very simple. The basic idea behind capturing the night sky is you need a lot of light hitting your sensor over an extended period of time. If your shutter is too short, you will not have enough light captured and your stars will be dark. If you set your shutter too long, say 20 seconds to a few minutes, the stars in your photo will look like comets instead of spherical balls of light. This of course is because the earth is rotating and our solar system is spinning through the universe. Every star in the distance is constantly changing positions and with a long enough exposure, you will see these movements in your final image. There is a 500 Rule you can use to figure out exactly how long your shutter can be based on the focal length of your lens, but in general, you should aim for something around 15 seconds to 30 seconds max. Since you need a lot of light hitting your sensor to capture the stars in the sky, having a lens with a super fast aperture will help tremendously. For this type of photography, it's absolutely critical to have a lens that has an aperture of f/2.8 or faster. 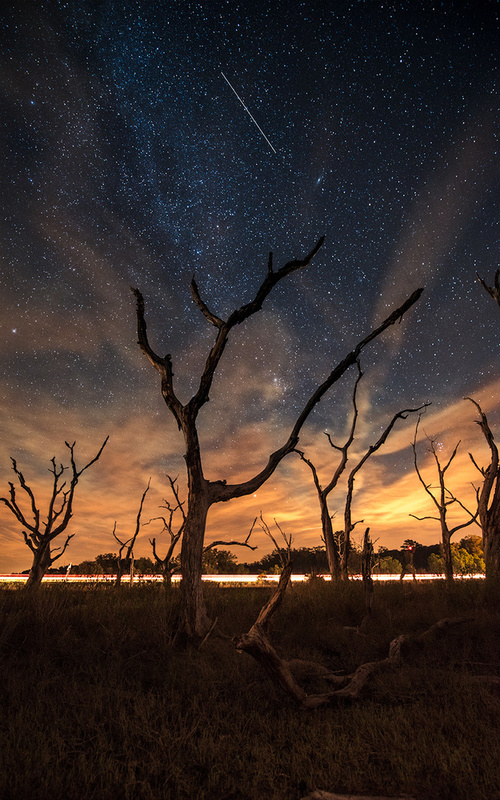 It's also quite common to have an ultra wide angle lens so that you can both capture as much of the sky and foreground scene as possible and also keep your shutter open longer without causing the stars to blur (500 rule). One of the best lenses for astrophotography is the Tamron 15-30mm f/2.8 because it meets both of these requirements. On a full-frame camera, the 15mm end of the lens allows you to shoot massively wide photos and the fast f/2.8 aperture lets in a lot of light for the sensor. 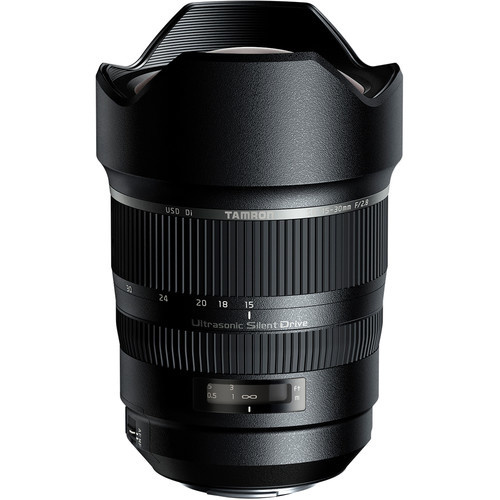 There are a few specialty primes that would work great too, like the Sigma 20mm f/1.4 and the Nikon 20mm f/1.8, but I prefer the Tamron because it gives you more possibilities compositionally because of the wider zoom range and wider overall perspective. No matter what lens you wind up choosing, you will want to shoot with it wide open. The final thing you will need to adjust in order to capture the night sky is your camera's ISO. Higher ISOs will allow your camera to capture more light, but a higher ISO also means more noise, especially in the shadows (which is most of the sky). The sweet spot for ISO is usually between ISO 800 and ISO 3200. Very few cameras are going to perform well beyond ISO 3200 and anything below ISO 800 will probably not capture bright enough stars. 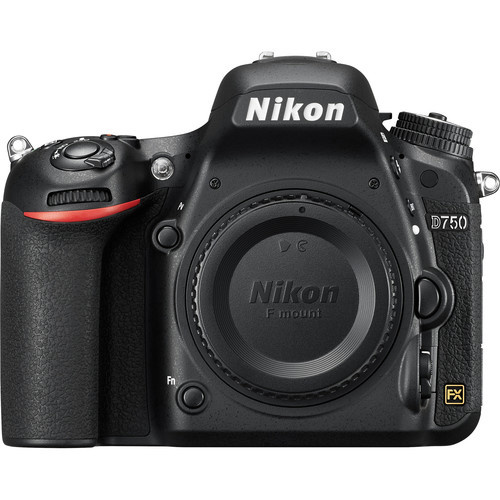 Since ISO grain and noise is pretty variable across every camera manufacturer and camera sensor, it will always help to have the newest and most professional DSLR for astrophotography because those cameras always have the best signal-to-noise ratio, which is essentially what causes clean high ISO results. For this particular shooting situation, I was using the Nikon D750, which is one of the best high-ISO cameras currently on the market. Having a newer DSLR with great high ISO performance is crucial. Finally, the most important thing about shooting clean star photos is being at a location with very little light pollution. Any stray ambient light from cities, towns, traffic, billboards, or light posts will destroy the contrast you need in the sky. Even though I was photographing trees in the middle of nowhere, my camera was still able to pick up quite a bit of light pollution from a distant little town. Just because you have the most expensive camera and lens money can buy, the stars in your image will always be dull and less defined anywhere light pollution is present. It also helps greatly to plan your night photography session around a new moon, when very little moonlight is contributing to the overall scene. 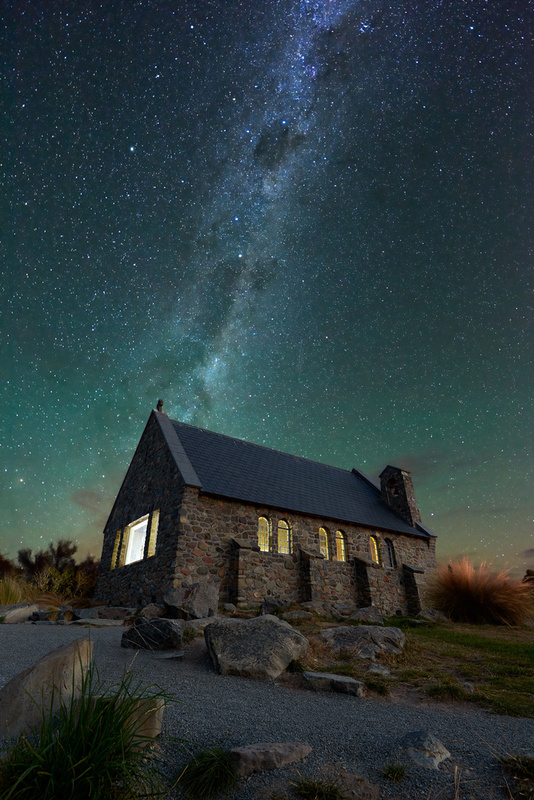 Below is an example of one of the images Elia captured in New Zealand for his astrophotography tutorial, and you can see just how bright the Milky Way Galaxy was at this dark sky reserve where there was absolutely no light pollution at all. This location had zero light pollution; you can even see a glimpse of the southern aurora on the horizon. Almost every great landscape and astrophotography image will need a little help in post-production. Back in the days of film, masters like Ansel Adams used the dark room to help massage the tones and contrast of their negatives, and the digital world is no different. 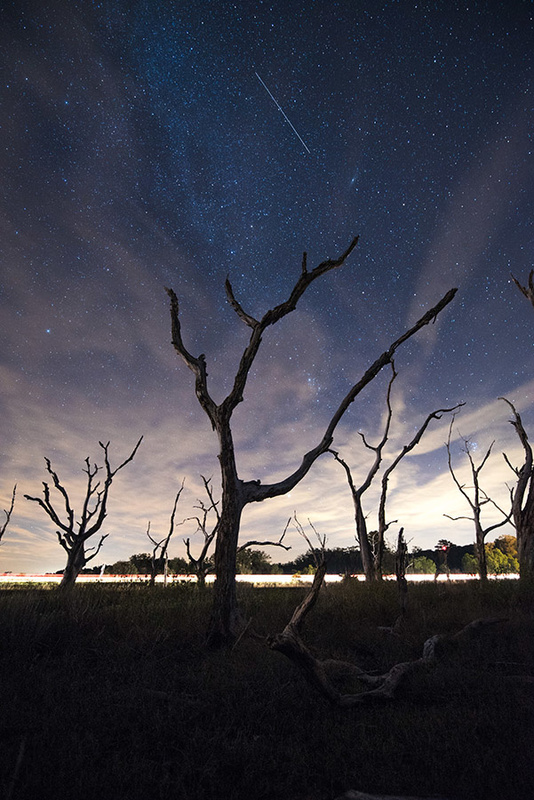 In many ways, capturing the photo itself is the easiest part of landscape and astrophotography. There is always some luck in terms of weather and lighting that comes with photographing any location, but for the most part, anyone can frame up a great photo of a particular location and capture a killer raw file straight out of the camera. What happens next is what distinguishes an image that has a clear creative direction and one that somehow lacks the overall oomph needed to capture the attention of today's viewer. For this particular star image, I found that I did not need to do a whole lot of post-production to capture my overall vision. As you can see from the video above, about 70-80% of the total final image came from one raw file. When I was on location, photographing this scene, the difference in color between the night sky and the cloud coverage over the horizon was pretty awesome to witness. My eyes were easily able to process the difference in color caused by the star-laced sky and the light-polluted horizon. Unfortunately our cameras cannot "see" light this way. Instead, the entire frame is confined to a single white balance setting that, no matter what you choose, will look unlike the experience your mind had during the actual event. 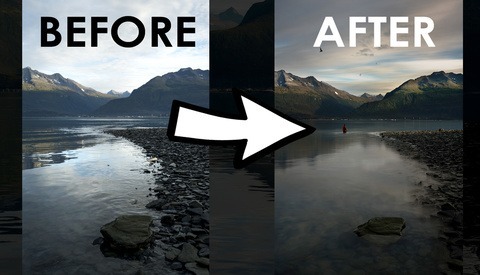 Combine this difference in "correct" color balance with the unnatural view of a 20-second exposure and the resulting raw image looks nothing like reality at all. Clearly, something needs to be corrected, even if it is a relatively simple fix. My approach was to process the same raw file twice, once with a warm white balance for the warm city light glow on the horizon and a second time with a cooler white balance for the sky. By combining these two color palettes together, the resulting image was pretty close to what my eyes saw in-person, albeit everything was a little brighter. You can see how much of a different white balance can make to an image. After I blended the two different WB variations together, one thing still stuck out to me. The light-painting caused from the passing traffic created an unexpected, but well-received effect on the trees in my image. However, the stray light did not edge out all of the branches from all of the trees evenly. Some areas were lit more brightly than others and parts of the main tree in the middle of the image were not lit at all. Luckily I packed a single Profoto B1 monolight before I headed out to this remote location, and I was able to use it with a large 7' octabank for perhaps the most ridiculous light painting I have ever done on location. When I first heard of light-painting, it was usually done with small flashlights or tiny strobes. When you combine these small lights with long exposures, you can cover some major ground and create some pretty awesome looking photos. One problem with small lights, though, is that they can look very artificial in natural landscapes because very rarely do you have small, hard light coming from opposing angles. By using much larger and softer light sources, you can easily blend in "impressions of light" here and there that do not necessarily call attention to themselves. My good friend, Architectural Photographer Mike Kelley, taught me how powerful light-painting with different sized modifiers can be in his real estate and interiors tutorial, Where Art Meets Architecture. I've used his light-painting and blending techniques so many times in the past, but this was the first time I ever thought to use them on a landscape image. As you can see in the video, the amount of control it gives you in post is unbelievable. You literally can control the direction, intensity, and contrast of the light on your scene in a very surgical fashion. Below is a before and after example of the single raw file compared with a blend of about 4 light painted images. After adding a few highlights to the trees and fixing the white balance, I felt like 90% of the image was to my liking. The only major creative decision I still had to make was whether I wanted to keep the car trails in the final image. Even today, I could go either way on this, but ultimately I decided to clone them out using a few frames I captured where there were no cars passing through. Because the cars helped light many of the trees in this scene, I couldn't use these car-less frames as the base layer. Instead, I just selectively painted these frames back into the final image anywhere there was a light trail I needed to hide. In the end, I feel like this scene has a slightly more sinister and eerie feel to it without the car trails. The final little touches to make this image complete were accomplished by removing a few random plane trails, a couple road signs, my SUV, and a couple other random artifacts you can see when zoomed in 100%. I also added a global curves layer to the overall image just to give it a little punch in the event that I wind up printing this image down the road (which I plan to in the near future). Other than that, this image was actually a pretty simple edit with just a few basic Photoshop techniques. Final image: ISO 1600, f/2.8, 20 seconds, Nikon D750 with Tamron 15-30mm. In the end, I feel like this image really couldn't have turned out better. To be quite honest, I feel like most photographers don't like to acknowledge just how disastrous many of their first attempts turn out. There have been so many photoshoot ideas I have explored, only to have absolutely nothing to show for it at the end, but I'm thankful this image turned out probably better than I had originally imagined it. It's always interesting to see how different genres of photography require different solutions to common problems. I cannot think of another situation where the answer to a photography problem would be to shoot wide open at ISO 1600 for 20 seconds. Unless you eat and breathe nightscape and astrophotography, you won't always know what to expect until you get out on location and give it a try, and that is what I love about photography. Hopefully, this video post will help you not only gain a few tips for shooting the night sky, but I hope it also inspires you to explore all the possible outcomes of an image before and after you capture it. I feel fortunate to call people like Mike and Elia my friends, and seeing how they use photography and post-production to create truly unbelievable works of art has left a pretty lasting impression on me. I hope you too can take some of these tips and apply them to your own work, regardless of what genre of photography you specialize in. Nice shot. There's a fellow who runs a site named Lonely Speck who has all sorts of great info on taking astro pics with pretty much any camera. He even did an article on astro shots with an RX100! Check his site out sometime, good stuff there. Of course the photos are nice, but I really like the video. Any info on what equipment you where you using for the video? I looked kinda like you guys were using a slider as well? No slider shots in this one, everything was filmed on a few more D750 cameras with probably Tamron 24-70 2.8 lenses and the Nikkor 70-200 2.8 lens. This was great. I love Fstoppers posts like this. Great work Patrick! Great image and tutorial for doing it differently with using Profoto and an octodome. I want to do Milky Way photography, now it looks like I need to buy a Profoto system, octodome; a fast wide angle lens has been recommended. I was wavering between leaving the car light trails in or taking them out. I like the final image without the light trails. (That plane could've been a meteor, which would've added a coolness factor to it). Photographing the Milky Way is on my photography bucket list. Patrick, did you produce this video on February 20, 2016? Oh don't make me persuade you that you need ANY flash or lighting gear to do this sort of thing. Elia shoots a lot of nightscape images and never uses strobe. You can easily brush in that early blue hour exposure too. No, this video was filmed in December when but the post production was filmed on Saturday. Thanks. I figured that the post production was done this past Saturday based on a visual cue. Great article and video. just the right balance of "how to" and "go figure it out". well done! Nice article. I'm off to Austria so hope to get some stars there. But I only have a 50mm aha so hope it will do. great tutorial, just wondering how you blended in the extra shots of the trees for the highlights. Did you simply just paint them in with layer masks? With a longer exposure time like that, one would think a higher f-stop (like 11 or 13) might yield a sharper image overall. I saw that you went with f2.8. 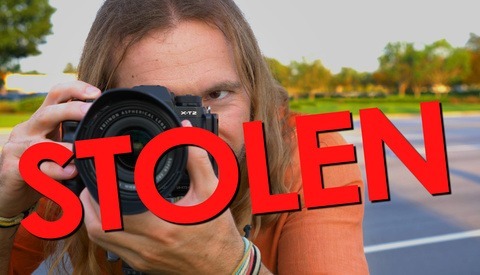 Did you experiment with a higher f-stop when you were doing this? I also noticed that you didn't mention 'the 500 rule'. Did you factor that in? You actually shouldn't shoot stars with smaller apertures because it will either 1) require that you bump your ISO even higher and/or 2) run longer exposure times. No matter which camera you have, when you start shooting above ISO 3200 you start to really get a lot of noise in the shadows. So let's say the correct exposure for 2.8 was at ISO 1600. At f/4 you are going to be at ISO 3200, f/5.6 will be 6400, f/8 will be ISO 12,800, and f/11 well...forget about it. As for the 500 rule, it basically states that you should pick a shutter speed less than 500 divided by your lens mm to prevent stars from leaving trails. At 24mm you are around 20 seconds and at 15mm you would have a max exposure time of 33 seconds (3 seconds longer than what the camera does natively btw). So combining both of these ideas, in order to keep detail in your sky with a lower ISO like 1600, you would have to shoot at 60 seconds to several minutes to get the same exposure at f/8 or f/11 which would then make it physically impossible to capture the nigh sky without star trails unless you had an expensive tracking system that moved the camera at the same rate of the rotation of the earth. The best way to get the sharpest image is to shoot your basic foreground scene at f/8 during the day or blue hour and blend it into an f/1.4 - f/4.0 photo of the stars later when it is dark. It's pretty much impossible to get everything tack sharp at f/8 without catastrophically jeopardizing either your ISO noise or shutter time exposure. One last thing, and this info comes from pros who do this and not from my own experience, but longer shutter times also introduce a lot of noise as well. As the sensor gets hot, it produces more hot pixels and overall extra noise into the image. I used to think that those long star trail photos we've all seen were captured by cameras staying open for hours at a time. This is actually not the case at all. An image like that would be ruined because of the inevitable light pollution that would happen over 1 hour exposure but it would also be very noisy because your DSLR can't easily expose for those lengths of time. Essentially you are reaching a point of major diminishing returns here. In order to get a slightly sharper sky you want to shoot at f/8 but that requires a massive bump in noise from longer shutters and higher ISOs. I believe the sweet point is a professional 1.4 or 2.8 lens shot pretty much at 2.8 with a shutter of less than 30 seconds at around ISO 1600 or 3200 on a newer camera that produces the least noise with high ISO. I hope that all makes sense and answers your question. At that point he essentially was exposing for the stars. So he needed the most light possible. Thats why at the beginning he shot at f/8 during the blue hour to get that foreground sharp and all in focus. 500 rule is something to always keep in mind and I am sure he did too. Yeah definitely, I just didn't make a virtual copy when I created this image and I thought people might enjoy seeing me manually slide the WB slider. This was a very detailed tutorial full of great ideas. Thank you so much! 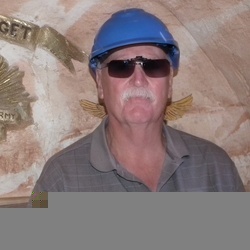 Thanks Patrick - great article, and plenty of sound practical advice. I started taking a serious interest in night photography last year, and this article will come in handy, going forward.